The Snap Circuits Motion Set provides a variety of fun projects that teach about physics, electricity and electronics. 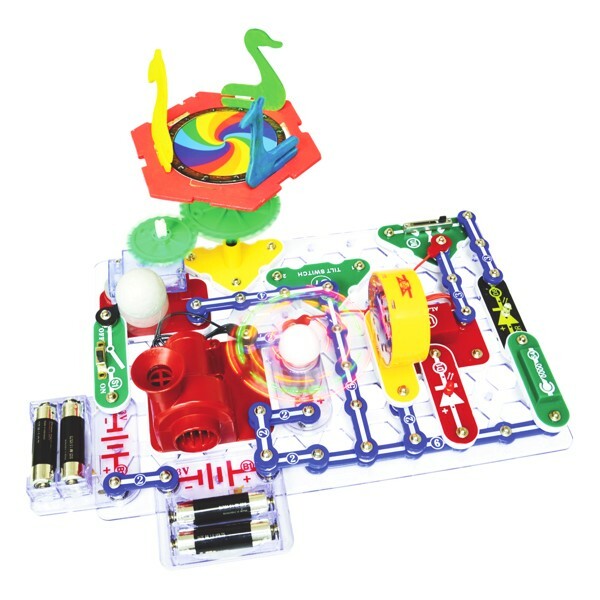 Snap Circuits electronic playsets allow children of all ages to experiment with electronics safely and easily. Components are molded onto plastic pieces that snap together to construct electronic circuits. This set comes with more than 50 parts for building over 165 electronic projects. 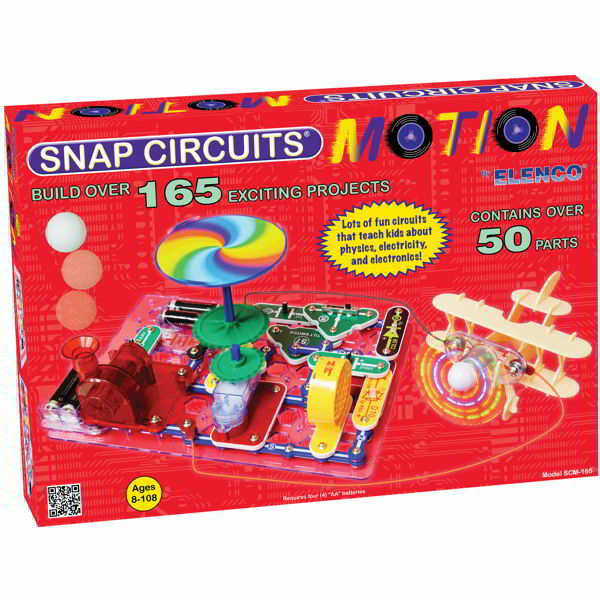 The Snap Circuits Motion Set includes a variety of special parts for exploring motion. Construct an airplane, mini-car and crawler to learn about motion. Components include switches, LEDs, motors, an air fountain and more. 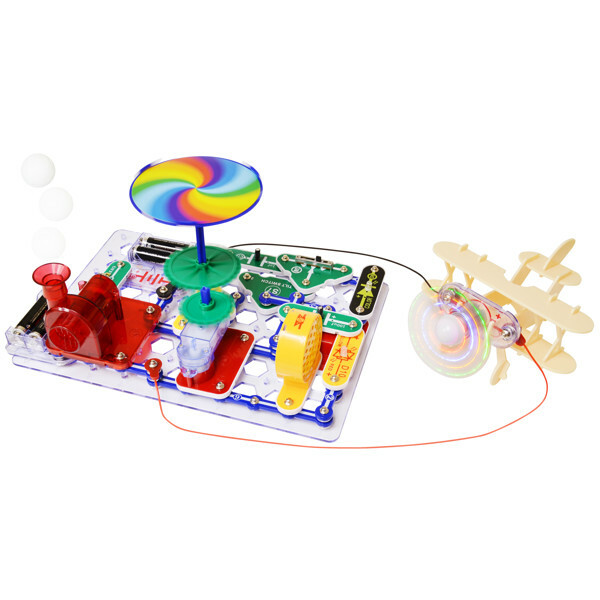 Motorized projects include a merry-go-round, mini- car, spinning hypnotic discs. Other fun projects include a motion detector, strobe light and electricity generator. Learn about leverage and the power of gear ratios with a set of gears and pulleys. Comes with a detailed instruction manual with 168 projects. Recommended for ages 8 and up. Four AA batteries are required.